I recently analyzed a report from Google Trends about what home buyers are searching for online, and how it applies to our local Venice FL real estate market. 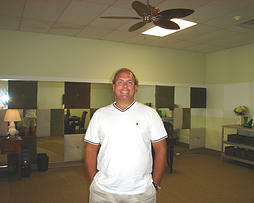 One of the things buyers are looking for is vintage, and nothing is more vintage in our area than terrazzo floors. I am a huge fan of rehabilitating old terrazzo floors in real estate investment property and property renovations. Terrazzo is a mixture of concrete, marble, glass, and granite or quartz, and is poured over the home's concrete slab foundation. The surface is polished to a fine gloss, and is common today in commercial applications such as retail stores and airports. 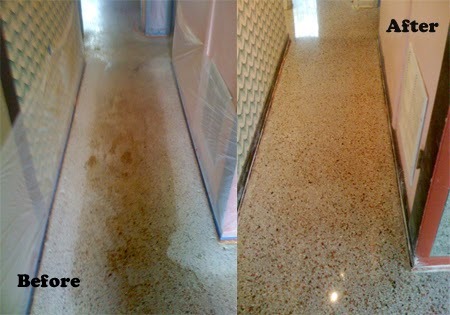 In the 50's and 60's, many Venice and Sarasota home builders used terrazzo floors. Unfortunately, wall to wall carpeting came into wide use just after this period, and many of the homes with original terrazzo floors now look like the "before pictures" below when it's time for a renovation. Typical terrazzo in an investment property: carpet tack strips and holes. These can be repaired to like new condition. 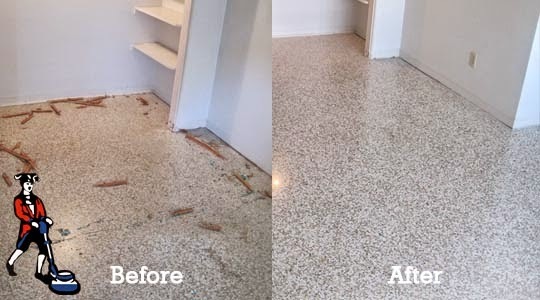 Looks scary, but with a relatively small investment, terrazzo can be made to look like new. Typical kitchen renovation, but the terrazzo looks fantastic. 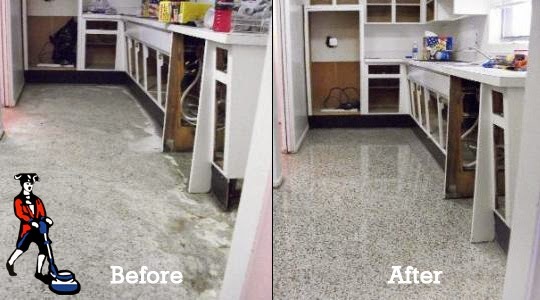 Don't let ugly terrazzo scare you into covering it up with tile or more carpeting. 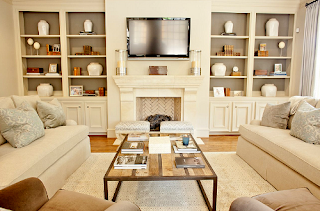 You can save money on a restoration, and have a home feature many home buyers are looking for. If you are thinking of selling, please contact me for a pricing, marketing, and staging analysis to maxmize your property's value.